California boasts an illustrious political history that few states can match. Over the past 50 years, the Golden State has given us presidents Richard Nixon and Ronald Reagan, and more recently, has provided us with other iconic public figures with equally impressive track records such as Arnold Schwarzenegger and Nancy Pelosi. Perhaps even more notorious than the politicians spawned from California are the ubiquitous, controversial propositions that appear on ballots during each election cycle. In addition to potentially altering legislation, these hot-button issues serve mainly to anger and divide citizens of the state, as well as the rest of us across the U.S. who must rely on our elected officials to overturn our civil and Constitutional rights rather than do so by our own hand. Two years ago, Proposition 8—the infamous bill to ban marriage between homosexuals—took center stage in California and garnered the attention of the entire nation. The costly campaign to drive voters to the polls and support the measure drew enormous amounts of external funding, much of it coming from the religious right who reside beyond state lines. As a result, California became a moral and political battleground for American politics. We all know what happened. Droves of frenzied citizens flocked to voting booths to exercise their unfounded authority to deny alternative segments of fellow Californians the right to legally marry each other. On the other side of the spectrum, people turned out in record numbers to vote against the proposition only to be ultimately outnumbered by selfish heterosexuals who wish to reserve the legal right to marry–and subsequently cheat, divorce, and sue–as a sacred privilege to be shared only between a man and a woman. This year, California ballots will feature a much different issue to be put up for public vote: Proposition 19—the move to legalize marijuana. While the outcome remains to be seen, one thing is imminent: high voter turnout. Pun intended. Experts are already forecasting a sharp increase in turnout among young, left-leaning voters, many of whom will be voting for the first time. Other segments of the California population likely to see a surge in turnout include Hollywood starlets and celebrities, college students, burnt-out hippies from the Flower Power generation, a vast population of surfers and skaters, Snoop Dogg and Cypress Hill, among many others. 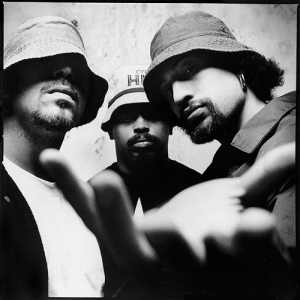 "Insane in the Membrane:" Cypress Hill is among the Californian fringe contingent expected to throng to polls for their first time. Proponents of Prop 19 claim that the added revenue from state regulation and control over marijuana will help solve the state’s fiscal crisis. Opponents argue that the legislation has gaps that will have serious unintended consequences. Both sides may be right. Should the bill pass, numerous ancillary groups stand to benefit. Dr. Drew Pinsky of “VH1 Celebrity Rehab” fame, whose thriving business would receive yet another boon, could expand into the realm of televising his rehabilitation services for common folks as they pass through the impending, legalized “gateway drug” into darker depths of drug abuse. Alcoholic beverage companies, on the other hand, stand firmly against Proposition 19. The legalization of marijuana threatens their multi-billion dollar monopoly in California’s recreational inebriation market. Executives from major distributors already plan to counter by advocating for a new proposition in 2012 to lower the legal drinking age in the state to 16 in an effort to replenish their consumer base. What is most apparent is that California, currently mired in fiscal crisis, has finally ceded the long-held myth that politicians are capable of solving anything–no matter the degree of importance–and has passed the buck directly to the tax-paying public. Whether or not that is a good thing is debatable, as illustrated by Prop 8 in ’08. What is not up for debate is whether this legislation is important, because it’s not. Regardless, it is evident that Californians may soon have a new outlet–as soon as tomorrow–to help them forget about their woes as the state’s economy continues to plummet. This may also result in more summertime wildfires and a reduction in false diagnoses of glaucoma. The War on Drugs may ironically come to an end in the homeland of Ronald Reagan, the very man who made the decree nearly three decades earlier. But other, more important wars rage on (Afghanistan, anyone??? ), likely to be ignored in favor of measures that result in increased late-night consumption of cookie dough ice cream and reruns of Scooby Doo. 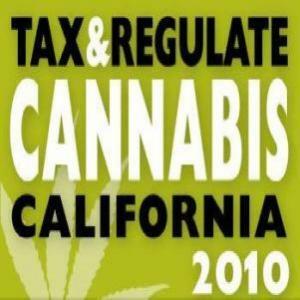 This entry was posted in Politics and tagged 2010, California, elections, Proposition 19 by Troy Beckman. Bookmark the permalink.